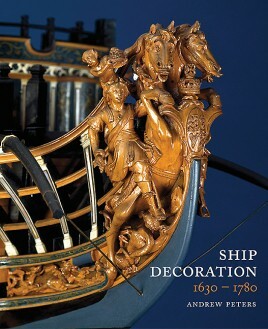 This book is a detailed comparative study of the decorative work – figurehead, topside ornamentation and stern gallery design – carried by the ships of the major maritime states of Europe in the zenith of the sailing era. It covers both warships and the most prestigious merchant ships, the East Indiamen of the great chartered companies. The work began life in the year 2000 when the author was commissioned to carry out research for an ambitious project to build a full-size replica of a Swedish East Indiaman, which produced a corpus of information whose relevance stretched way beyond the immediate requirements of accurately decorating the replica. In tracking the artistic influences on European ship decoration, it became clear that this was essentially the story of the baroque style, its dissemination from France, and its gradual transformation into distinct national variations in Britain, the Netherlands, Denmark and Sweden. It is an inherently visual subject and the book illustrates developments with numerous photographs of contemporary ship models, paintings and plans, as well as the author’s own interpretive illustrations of details. As the first major work on the topic for nearly a century, it will be of obvious appeal to ship modelers and historians, but with comparative examples drawn from architecture and sculpture, it also makes a broader contribution to the history of the applied arts. "very fine book and of the usual high quality that mark this publisher’s titles."